LOVE this Baseball Asym Base Layer Men's Performance Clothing Long Sleeve for $14.99 (Retail $44.99). 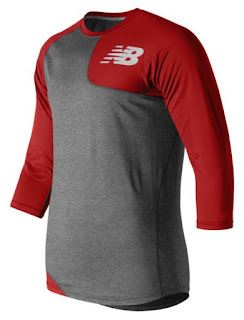 Specially designed for lefties, our New Balance Asymmetrical Base Layer Left features seamless shoulders and extra stretch on your throwing arm to give you a freer range of motion. Why? Because more comfort throwing means you can make batters more comfortable taking a seat.